"A spokesperson for Rep. Elijah Cummings"
Is there a lower life form on this planet? he is more intelligent than your girl, you magaidiot. hey.. she's got important things to do. like selling hand bags. answer: the person who's moral stance is predicated on the performance of their 401k? 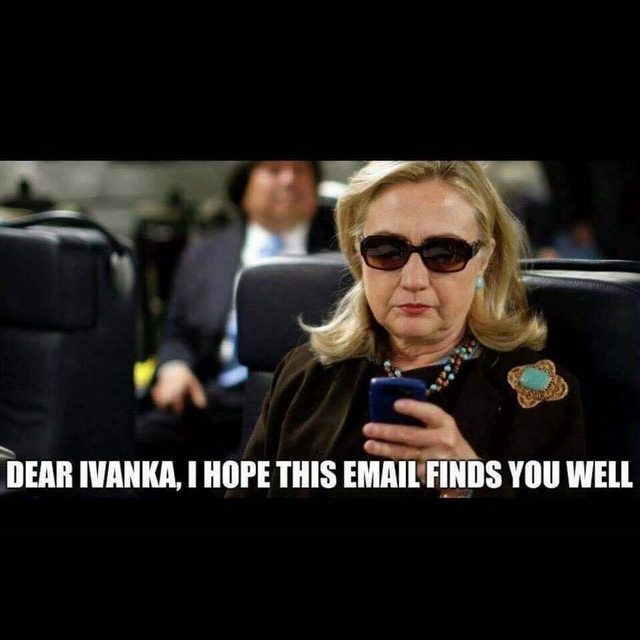 Did Ivanka try to clean out her emails with a rake? The crux is Ivanka is not running for President. My, how convenient for you. I don't even know the race of said spokesperson. Are you assuming that person's race? Wouldn't that make you the racist? I don't even know the race of said spokesperson. You're delusional. Do you aspire to be a spokesperson for a democrat partisan hack? So exactly how many state secrets did she pass? This was a personal email account. She does not need a dedicated server unlike some. I imagine a good Norton or McAfee account can handle Ivanka's personal needs.